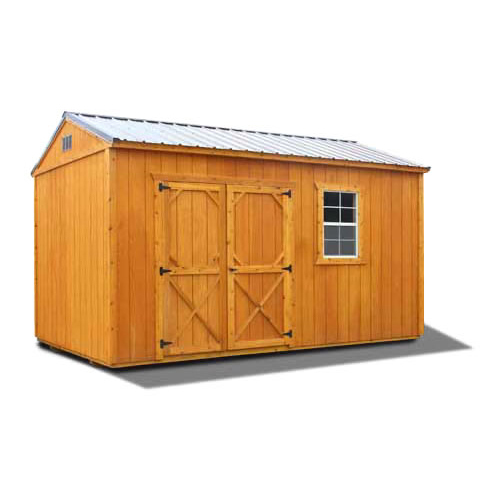 This model features the industry standard gable roof and a side entry. You can get it in 8ft, 10ft and 12ft widths. The walls are extra high at 7’8”. 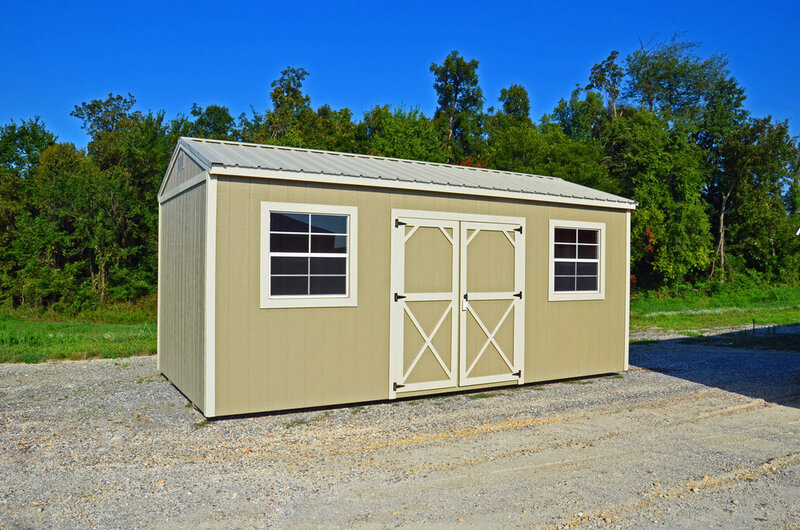 The 8ft wide version has a single wood door while the others come with a double wood door. Natural Wood Buildings: Stained and water sealed natural Fir Wood siding with Honey Gold Olympic stain. 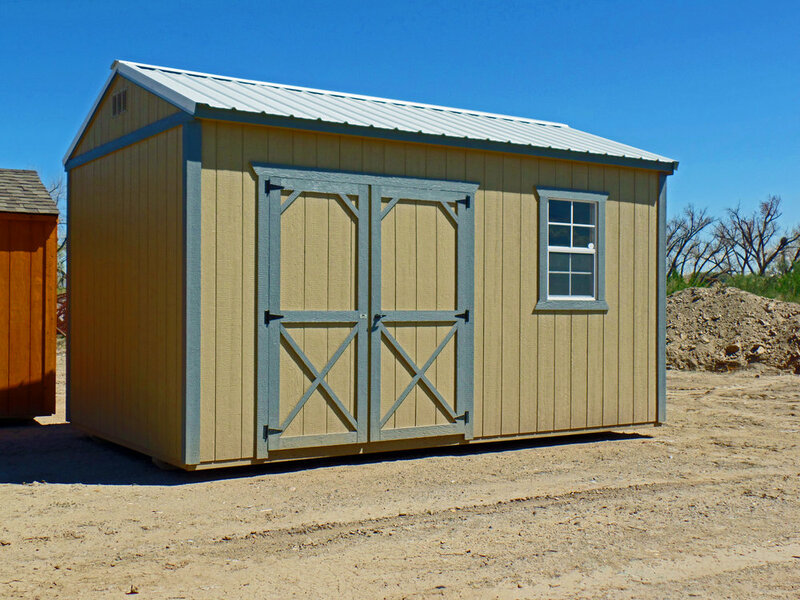 Painted Buildings: Painted siding and trim with any of our standard colors. Custom colors are available for an extra charge. © 2019 Vegas Sheds. All rights Reserved.